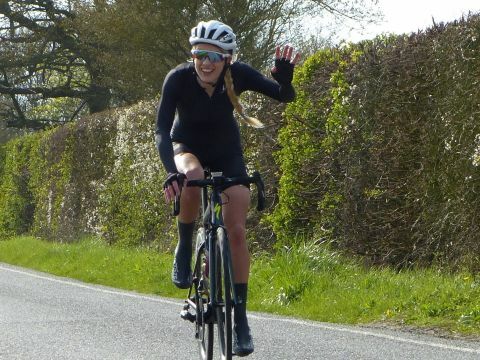 Norwich rider Polly Mason won the Essex Roads CC Women’s Road race alone, one minute 41 seconds ahead of the sprint for second place. Mason, riding for the Great Yarmouth-based DAP CC escaped from the bunch with what proved to be just under an hour’s racing remaining. 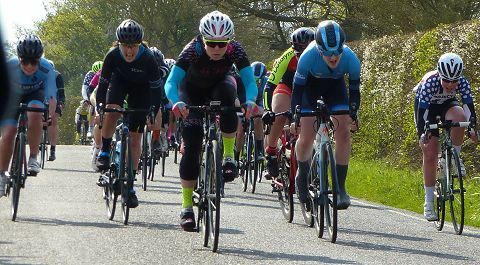 A group of five – Mason, Maddie Wilson (Guernsey Velo), Jayne Paine (Les Filles), Francesca Cutts (Team LDN) and Cindy Berry in her new DAP CC colours, rode off the front as the race climbed into a headwind on the former A130 at Little Claydons. With 18 miles to go just Mason, Cutts and Paine remained in the break, while the bunch was compact and looked remarkably relaxed. Mason, as she described later, took her turn at the front of the break, looked round and found herself alone. 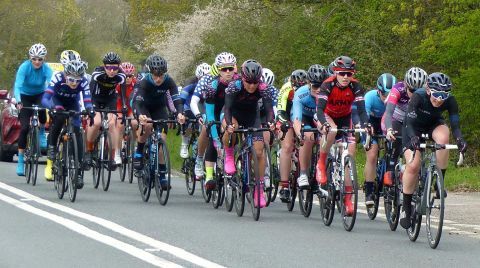 With one eight mile lap remaining of the East Hanningfield- Howe Green – Pan Lane circuit, Mason was clear, with Cutts and Paine still well in front of the bunch. 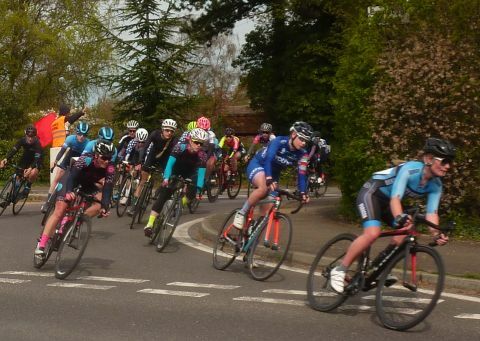 At the finish, Mason came in alone while Kerry Middleton (LDN), Louise Moriaty (Les Filles) and last year’s winner Isabel Darvil (Datalynx-Parenesis) took the next places in a tight sprint. In the morning race for third and fourth cat men, also over 51 miles, Vincent Christian (ELV) won from Chris Owen (Cambridge CC) and David Veitch (Lea Valley CC).